Recently, Ethicon, a subsidiary of Johnson & Johnson, recalled one of its surgical mesh products that is used to reinforce incision points during hernia surgery. The product in question is the Ethicon Physiomesh Flexible Composite Mesh, and it was recalled over concerns that the product left its patients at risk for further complications after the surgery. 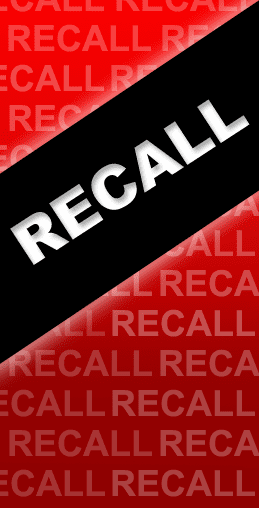 Our experienced defective product attorneys at Long & Long Attorneys at Law want you to be aware of this recall and that we can help you if you’ve experienced complications as a result of using this product. Ethicon Physiomesh Flexible Composite Mesh is a surgical mesh used during laparoscopic surgery to repair ventral hernias. A hernia occurs when part of an organ protrudes through a tear in the wall of the muscles that hold them in place. A ventral hernia occurs when an organ protrudes through a weak point in the abdominal wall were a previous incision was made. During the laparoscopic surgery, the surgical mesh is used to reinforce the weak point in the abdominal wall, effectively supporting the wall and preventing any future hernias from occurring. First approved in 2010 with FDA 510(k) clearance, the Ethicon Physiomesh did not require FDA review or undergo any clinical trials to determine its safety before going to the market. At Long & Long Attorneys at Law we believe that consumers, especially patients undergoing a medical procedure, should feel safe and confident that the treatment they receive and the medical products used will help and not hurt them. There is a level of trust between the manufacturer or retailer and the consumer that those who use a product will not be harmed. If that trust is broken, you have the right to pursue compensation for any suffering caused by the negligence of the company responsible. If you’ve used the Ethicon Physiomesh Flexible Composite Mesh for hernia repair after 2011 and before it was recalled in 2016, and you experienced complications or undue pain and suffering due to its ineffectiveness, our highly-trained product liability attorneys can help you get the compensation you deserve to pay for medical bills and address any past and future suffering you may have. As lifelong residents of Mobile, Alabama, we value the health and safety of all those who live in the area. We believe in representing our clients to the fullest extent possible and will fight on your behalf to hold the responsible party liable while pursuing a just and fair compensation for you. If you’ve suffered from the use of the Ethicon Physiomesh, contact us today at (251) 432-2277 to schedule your complimentary consultation. We proudly serve those who live in and near the Mobile, Alabama area.